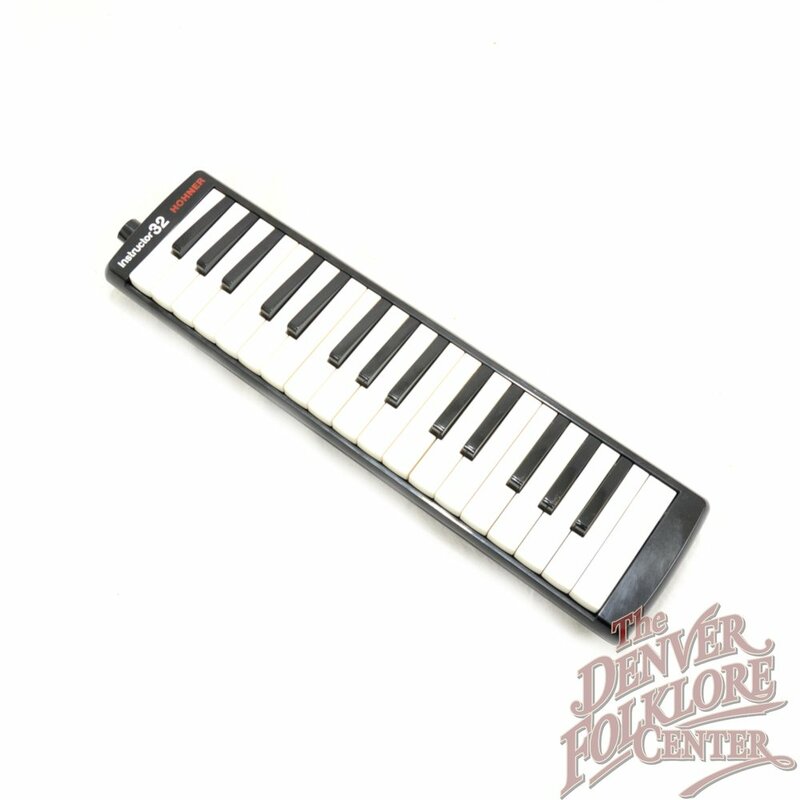 The Hohner Instructor 32 is a great student-level melodica. It is lightweight, very playable, and has a loud, clear sound. It has 32 keys and a range of 2 1/2 octaves from F3 to C6, allowing for many musical styles and applications. The Instructor 32 comes with a standard style mouthpiece, as well as a longer flexible hose mouthpiece. It is dressed in a classy Black casing and comes with a durable and lightweight semi-hard carrying bag.